I have had many cats in time. I love cats but Heathcliff (and to a cetain extent his brother Mr Darcy before he died) is the only one who actively takes an interest in my work. I am participating in Reading Romance's Wicked Giveaway. 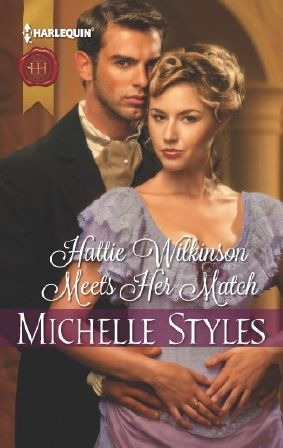 There are 2 signed copies of Hattie Wilkinson Meets Her Match to be won. I was totally thrilled to learn that Hattie was the most requested prize in Reading Romance's last giveaway - Naughty or Nice! And my newsletter went out yesterday. There is a special giveaway on there for newsletter subscribers only. It is copyright Mills and Boon 2012. My editor is changing again. For a variety of reasons, various editors at Harlequin Mills and Boon are either on maternity leave or have left the company. This has meant that an unprecendented 3 mid-ranked editors have been making their farewells from the acquisitions team. One editor has just returned from maternity leave. My editor has been promoted which is wonderful for her. 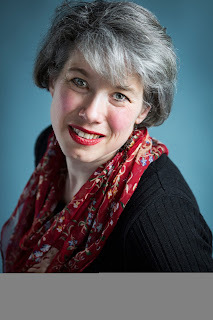 But it also means she needs to rebalance her author stable so it is more in favour of the series where she is the new Associate Editor (Romance/Riva). The editor who has just returned is going to historical and needs more historical authors. She also loves the Viking period, apparently. So I get moved. Not all of my editor's historical authors will get moved. It just depends on a variety of factors. Some day I will make good my threat and get a Pandora bracelet with a bead for each of my editors. I think I am up to 6 editors in the 7 years I have been a contracted author with HMB. Some authors only have one editor. Others get moved about for a variety of reasons. I think of all the changes the hardest was the first one. After that you know you can do it. I have loved working with Flo Nicoll. She is a rising star among HMB editors and I can't wait to see how far she goes. I am very proud of the books we did together. And I do think my writing has improved under her. I will miss her insights very much. But I also am aware of why the change needs to be made. A new editor always pushes you in directions you haven't thought about and makes you confront things. This can be a good thing as it is always about getting the strongest book. At the moment with the current Viking, I get the benefit of both Flo and Suzy Clarke's eyes. After that, it will be Suzy. If you can't stop change, you might as well embrace it and enjoy the ride. Because I had been reminded of Madam Will You Talk? which is set in Arles, I asked my youngest to get out from the Lit and Phil. Unfortunately it had been shelved wrong, so he returned home with another Mary Stewart -- Wildfire at Midnight. It was written in 1956 and set in 1953, during the coronation. The heroine has the glamorous career of an in-store model and wants to escape the Coronation hoopla. When her mother suggests a hotel on Skye, Gianetta leaps at the chance. Unfortunately, the hotel is harbouring a murderer (the other inhabitants have been there for a few weeks) and Gianetta's ex. I must have read this about 35 years ago as my school library was very good on Mary Stewart. What struck me this time was how many times people lit cigarettes. Practically every scene, the characters stop and light a cigarette. Yes I know people smoked but it was the sheer repetition of the gesture that got me. At one point, I expected the characters to get together and start discussing exactly how many tabs they had left and therefore how long they could hold before the mystery needed to be solved or one of them started to have withdrawal symptoms! Gianetta ends up with her ex. who snarls 'You bloody little fool.' before explaining everything, including the misunderstanding where she thought he was sleeping with an actress. No she was kissing him and he left. The actress was having an affair with another man. There were several times when Gianetta deserved the Too Stupid to Live label and I didn't quite understand why the police would leave her in charge of a severely ill woman who was a potential witness in the case. What Stewart does well is to provide a sense of the place. I may not have been to Skye but I have stayed in hotels in the Highlands as well as in Snowdonia and the Lake District. They do operate under their own rules. It was interesting re-reading it but I can see novel writing, in particular romantic suspense has really moved on. But oh how I loved Mary Stewart once upon a time. Georgette Heyer seems to wear better for some reason. Perhaps it is because she was writing a historical rather than a contemporary. Blurb for An Ideal Husband? My editor sent through the blurb for my April 2013 release -- An Ideal Husband? When heiress Sophie Ravel finds herself in a compromising situation, notorious Richard Crawford, Viscount Bingfield, swoops in and saves her reputation! She might have escaped the attentions of one undesirable, but will Richard’s protection expose her to even more scandal? An Ideal Husband? is set in 1852 Newcastle Upon Tyne and features Sophie Ravel who was a secondary in To Marry A Matchmaker. I completed the proofs last week so I will get an excerpt up soonish. This one really appeals to my sense of humour. I had a lot of fun writing it. I have just started C1.3 L6 or the level where the dvd has some problems. Actually it is missing one little bit of the ab exercises at the end of the ab section. There are only 5 leg lifts, but I was crying by the end of exercise 4 and my legs were like jelly at the end of 5. It is important to hit the cross vectors. I was pleased to see the back end of L5 as because of the holiday, it felt like it had gone forever! I continue to love and adore the ball as it does help me to focus on the moves. The blance exercises are easier in a way as I now know about inverting my leg. It pays to pause the dvd when doing the preview as you can see precisely where her hands and knees are. Despite eating a ton on holiday, all the weight and bloating has come off and I am back to where I want to be. Thanks to my daughter's generosity, I now have her old Ipod and after trying (and failing) to dance with headphones, I bought a cheap speaker dock. It works and I can now have my own playlist while I do the DC. It does help. My 2.1 dvds arrived just before I went away. 2.1 with the chair looks challenging. Apparently the quads are really hit. It is just good to think about TAM continuing to be part of my life. I am waiting for my editor to get her thoughts on revisions back to me so I have started a New Project. It is one of the great things about the way my current contract is structured. I have built time in so I can do New Projects, rather than just moving on to the next HMB historical romance. It is about conducting my career on my terms. One of the great things about TAM is that I do feel empowered to take on new challenges, knowing that I can master them. There are a number of strands which came together with Hattie. First, several years ago I read Lady Worsley's Whim which was about one of the more scandalous Criminal Conversation trials of the late eighteenth century. There is even a suggestion the American revolution was settled more speedily because one of the main pillars of the British givernment was embroiled. Anyway, The Worsleys had a son who died in his early 20s but it got me to thinking what would it been like for the son? His mother abandoned him for her lover. A child of divorced parents, it is a subject which intrigues. My parents divorced in my late teens and it was not an amicable parting of the ways...and it does change you. I filed this in the back of my brain under possibles as other ideas were screaming. Second, I read a story in the Hexham Courant about the Stagshaw Fair which was the largest one day fair in England. It used to be held on the fourth of July which amused me greatly. In the article they made reference to a man who had redeemed himself in the early eighteenth century by saving his valet from one of the notorious people snatchers. Apparently there was a real problem with press gangs and many Northumberland men were snatched and sent to the West Indies to work on the plantations. There is precious little about this and unfortunately it was not the right time period for me but I filed it in the back of my mind -- thinkiing some day. Finally, I happened to go to the University of Birmingham on an open day visit with my daughter and encountered a protrait of Mair Constance *Hattie* Barb er and her dogs. Again the wrong period but I knew I wanted to write about a heroine who had a small dog. Hattie Barber had Yorkshire terriers but the breed wasn't in existance in the Regency period. However papillions were and they are a small dog with attitude. So Moth was born. And then I remembered the other two ideas and thought while maybe...And the ideas started to scream. Particularly when Kit, Sur Christopher Foxton, strolled into my brain and refused to leave. Luckily my editor was intrigued and very supportive so I was able to write Hattie. I think I drove her insane when I was writing Hattie as I could not get the ending right. Luckily she was there and made several excellent suggestions and the story is much stronger for them. Hattie Wilkinson Meets Her Match is one of the few titles I have been able to keep. Or rather it is a variation of Hattie Meets Her Match which was my working title. I always love it when it happens. The trip ended up being a foodie's delight. It wasn't supposed to be that way. However on the first night, we didn't make reservations and everywhere seemed to be booked out. In desperation, I went into the L'Atelier de Jean-Luc Rabanel, thinking that someone might have cancelled at the last moment. Jean-Luc was manning reception and asked me if I knew how to use a telephone. He was very charming and offered to ask at his place next door. We had already tried there...unfortunately. His face fell and he seemed genuinely upset that he couldn't help. We managed to find dinner at Le Gabolet -- the tuna was melt in your mouth. The menu was prix fixee and seemed to change daily. They served things because they were fresh and they liked them. The next day, we went out birdwatching and missed lunch. Breakfast had been continental When we returned to the hotel, my husband who doesn't speak French suggest that I call Jean Luc's bistro but I only had the number of the Atelier. Anyway, I ended up blurting out a mispronunciation of Pinus and we ended up with a reservation for the L'Atlier. It is like entering another world when you go to L'Atlier. Very relaxing and calming with water flowing everywhere. You start in the lounge where we had five courses. There is no menu, you simply come and eat what is on offer. There is the lovely surprise element. There are at least 13 courses for dinner. We had 17. So we started with baked baby carrots with 3 dipping sauces, then deep fried courgettes with a dipping sauce, then a biscuit covered with vegetables, followed by a herbal soup with tomato sorbet and the last starter was Camargue toasted rice with vegetables. We also had a glass of champagne. Every dish was immaculately presented and the flavours sang in my mouth. We moved to the restaurant proper to continue with the meal. (You need to remember that at this stage I was thinking 13 courses). We moved on to the white wine. The mains started with sea bream wrapped about green beans, and then it was mushroom and onion parcels (I think the onions were done as a soubrise). Next it was vegetables with fish roe and then octopus with mushrooms. Those courses starting with the last starter were absolute perfection. Because I was thinking -- 13 courses, I did have some bread. the bread basket was full of tempting treats -- peanut bread, pistacchio bread, tomato bread, olive puree (they looked like cinnamon rolls), 3 types of bread sticks and tomato and anchovy filled bread. It would have been a crime not to eat some. And I figured that it would be fine as there were only 13 courses. I was starting to get a bit full but thought I would do it as it was a once in the lifetime experience. The next course was a tuna surprise -- and not as good as the tuna I had had the night before but still excellent. I am not sure why it just missed or perhaps because the other courses had been so good, I was thinking -- it would be superlative. Or perhaps I was just getting full. Then it was the lamb (I had not realised how special this lamb was until we went to le Crau -- it must have been some of the earliest lamb). It looked like 2 slices of bacon and had a sprinkling of pine nuts. My husband wasn't as fond of the lamb but then he likes his meat very well done and the lamb was lightly seared. We moved on to the red wine here. We then had the vodka jelly and lemon to clear our palates. Thank goodness. Next came the desserts. And I had counted so I thought -- one dessert. Maybe I could do it. The first dessert was very good. The second was a beet root flower and excellent. The first time my husband had actually liked beet root. Then they laid out the spoons and forks again . My heart sunk. even though the dishes had been tiny, I was very full. It was a toasted rice with sour cherries and olives which was surprisingly good. Then it was white chocolate and FINALLY it was a raspberry concoction. My heart kept sinking each time new cutlery appeared. We then had coffee. My big take away was how much flavour and colour plays. Each course was a picture. Also little portions can add up. You don't really need to eat a lot to be satisfied. I also understood why you need to make a reservation. And why Michelin rates his food so highly. And then because I discovered where it was, we had dinner at Le Cilantro -- the 1 star Michelin restaurant. The food was excellent and the service great. I started with a tomato salad and then had salmon.Dessert was a pain perdu with fresh plums. There was several other little courses. And again the wine was excellent. The next night we went back to the bistro as several of the other restaurants were fully booked out. Again the food was good. I started with the saussicon. My husband had the lamb which he enjoyed very much as it was medium. Anyway I ate and drank far too much but I really enjoyed myself. I also now understand why French food does have its reputation. In recent years, I have cooked far more Mexican or Italian or Indian than French but I shall go back to French food as when it is done well, it is fantastic. I did not do my Tracy Anderson while I was away BUT since returning I have gone back to healthy eating and working out. It is the knowing that I do workout that allowed me to indulge. When I first went to Arles 27 years ago, I'm not sure what I was looking for. It seemed like a good idea and my then boyfrined (now my husband) had convinced me that it would be a great place for a spring break. It set a pattern for our holidays -- generally in places which combined history and great birdwatching. That trip introduced me to birdwatching. Pink flamingoes are remarkably easy to spot. The Camargue is where flamingoes gather in France. When flamingoes fly, they have carmine and black undersides of their wings. Arles is also where I watched a bull fight while seated very high in a Roman arena. The experience would later fuel my first Roman book -- The Gladiator's Honour. In fact it was when I was in Arles that I thought the roman period would make a great backdrop for a romance. We stayed at a little bed and breakfast just off the Place du Forum where you had to walk down a cold corridor to reach the toilet. This time we stayed at the Grand Hotel Nord Pinus which is also on the Place du Forum and has been around forever. Picasso used stay here along with various other celbrities. I believe the bullfighters still stay. Unlike many luxury hotels, the Nord Pinus feels unique. It retains its own unique charm and character. They have posters up of bullfights from the early 20th century as well as a collection of Marilyn Monroe phtographs in the lobby. On the first floor, you can see bits of the old forum. Our room was huge and well appointed with wrought iron furniture. Outside the hotel in the warm evening air. Madame had me drinking a variety of pastis as that is what you do in the early evening as you watch the world pass by. It is a summer drink. If you are very thirsty you drink it with mint and plenty of water. The almond syrup is delish and then there is the grenadine which brought back memories of long ag Shirly Temples (but with an added kick). Because the Place du Forum is popular, several evenings had live music (including cheesy 1970s ballads). We ate in some wonderful restuarants which I will recount tomorrow as they were truly gastronomic adventures. Arles boasts of both 1 star and 2 star Michelin restaurants and naturally we had to try them. We flew via Southampton to Avignon on flybe. The flight was painless. Avignon's airport is probably the smallest airport I have been to. There is only one or two gates. the Southampton flight appeared to be the only schedule flight of the day. By the time, we had walked through customs, our bags were ready. We got into our hired car and headed out to Les Baux Les Baux is considered to be one of the most beautiful villages in France. The primary attraction for me is the medieval village and ruined castle. We had lunch there and looked about. They were doing a recreation of a medieval tournament. Arles was also jam packed. The one problem with Arles is that the streets were laid out just after the Romans and are very confusing. Eventually we found the Nord Pinus, but this was me going on instinct from 27 years previously! As it was a Saturday, there were a number of weddings at the City Hall and we watched various wedding parties, including one with a vintage car. The next day, we drove into the Carmague and went birdwatching -- flamingoes, storks, grey herons, cattle egret, little egrets and snowy egrets were all spotted. Because someone was windsurfing (I don't think they were supposed to be), a flock of flamingoes was spooked and I saw them fly for the first time. They are truly spectacular in flight. We also saw the white horses of the Camargue. The white horses are techincally grey as they are born black. They are semi wild and are one of the oldest breeds in the world. They are not shod and are known as the sea horses as they spend a great deal of time on the salt marshes. The men who work them are known as gardians and they are the French equivalent of cowboys. We also saw the black bulls. In Carmague bull fighting, the bull is not killed. In Spanish bull fighting the bull is killed. the last time we did this sort of thing in the Camague, it was on bicycle and God, it was tough. Apparently it was when my husband decided that he ought to marry me as I did not complain. The next day was more birdwatching in Sts Marie de la Mer -- flamingoes, caspian terns and slender billed gulls. Sts marie have become very commercial and we didn't linger after I went swimming. Instead we went to Aigue Mortes and climbed the ramparts. This is the town St Louis built and was France's first Mediterrean port. However, because of the silting, it is no longer on the sea. The Constance tower used to have a beacon which burnt night and day. We stopped for ice cream in the main square which was excellent. The next day was Les Alycamps in the morning. The necropolis was the In place to be buried during the early middle ages. It is now a place of ghosts and pigeons. If you go into the church at the end, you are surrounded by the sound of cooing pigeons and dung dropping. It was v spooky. In the afternoon we went to Le Crau and the nature reserve. Le crau is France's only desert. It has been used for sheep herding since time immedmorial. Pliny mentions the sheep as being particularily good to eat. The Merino sheep arrive on Le Crau in October, have their lambs on the hay fields (created in the 16th century and they provide hay for race horses -- only hay in the world which is AOC), are moved to the coussol in Feb/March time to eat the special grass and thyme before being taken up to the Alps to summer. It was an utterly fascinating place. the rocks which the local villagers were required to pile up so Allied planes couldn't land during WW2 are still there. We saw Europeon rollers which made the trip. The next day was the Arles Roman museum -- absolutely fascinating. We then flew home the next morning. Thoroughly refreshed. I will do abotu the food tomorrow as it was truly special.